Drunk Elephant: A-Passioni- The New Retinol — Beauty and Etc. So by now, I’m sure many of you know that Drunk Elephant has a new product that’s out on the market. If you don’t know its called A-Passioni. It’s their 1st retinol product. 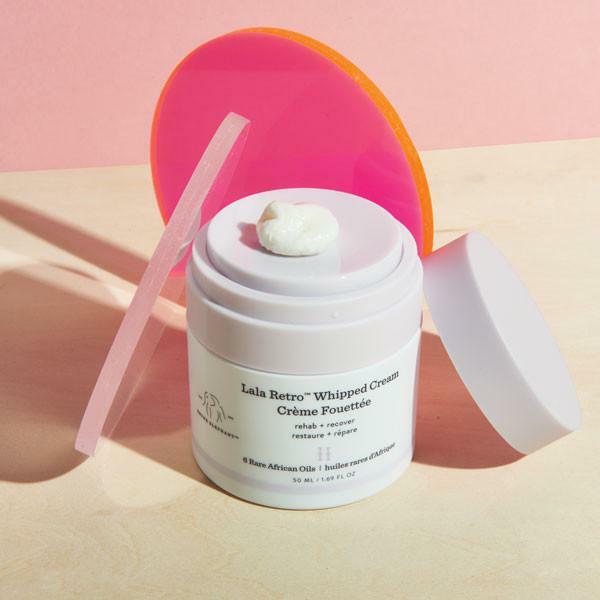 I was happy to receive this magical cream in early December to test out. Being that I’ve been using it for about 6 weeks now, I feel like I can give you my very honest opinion on A-Passioni along with some pointers on how to use it. I’ve received numerous messages on Instagram, so I’m here to answer all your questions and more. First things first….Retinol vs Retinods ? For those that are unsure what exactly is Retinol, it is Vitamin A. It’s known to stimulate new skin cells, fade dark spots along with reducing the appearance of fine lines. Vitamin A can be found in certain foods like carrots, sweet potatoes, spinach, kale and collard greens. Retinol is derived from the Retinod family. There’s multiple forms of retinods, strengths and textures. Both Retinol and Retinods are effective for anti-aging and can be found in either a cream or gel texture. The strength can vary from as low as 0.25%, .05% and as high as 1%. I’m no stranger to using Retinol. In the past I used the Sunday Riley Luna Sleeping Night Oil. The Sunday Riley Luna Sleeping Oil is a trans-retinoic acid ester (retinol) complex. I really loved about the Luna Oil formula and found it to be very gentle on my skin. The unique blend of the sleeping oil is one of the more gentler forms of retinol. This Luna Oil formula is also less likely to irritate or dry out the skin as it’s infused in oil. I would typically use the Luna Sleeping Oil anywhere from twice a week to every other day. A-Passioni is made with 1% vegan retinol to diminish the look of fine lines, wrinkles and dryness. It has a pH level of 5.8- which ensures that your skin’s acid mantle is respected and protected. Unlike most retinol products that are advised to be used at night and alone, this retinol is marketed as being safe to use during the day with Vitamin C and at night with AHA’s (Alpha Hydroxy Acid). Through my past knowledge and usage of retinol, I’ve always known it be applied at night due to skin light sensitivity. Based on these few points that have been mentioned, the A-Passioni is marketed very differently compared to most Retinol’s on the market. As for my personal experience with the A-Passioni, there’s some positives along with some negatives. I’ve been using it for the past 6 weeks consistently 2- 3x times a week. Being that I had prior experience with retinol, I didn’t hesitate to try out A-Passioni. The directions recommends to start off slow and to only use a pea-size amount that can be mixed with a moisturizer. The product is dispensed in a tube and for the first week or so I used more than a pea size. When I received the package for testing purposes it did not come with the B-Hydra, so I pretty much figured out for myself what worked best for me. The first week or so I mixed in A-Passioni with the Drunk Elephant Lala Cream or the Drunk Elephant Protini Moisturizer. After the first week of using A-Passioni the first major thing I noticed was that my face felt noticeably smoother. The next thing I noticed was that immediately after washing my face it often felt dry and started flaking. I have normal to combination skin. My skin pulls more on the oilier side and is rarely dry - especially in my t-zone. This is when I realized I was using too much product and in too short of a time period. My solution to solving this was hydration. I used more hydrating masks and oils - and the drying and flaking stopped about a week later. Over the the past 6 weeks of using A-Passioni I found that the best mixture for me that did not cause any dry or flakiness is mixing it with Virigin Marula Oil (roughly 2 pumps), B-Hydra (1 pump) and a small amount of moisturizer (Lala Cream or Protini Cream). (see picture below that I featured on my Instagram - BeautyEtc.Blog). The after effect of using A-Passioni has been softer and smoother skin. I rarely break out in acne or have any significant acne scars on my face. However, I did have a whitehead on my cheek that left a spot. The A-Passioni along with using Vitamin C has helped it to fade a lot faster than what I’ve noticed in the past. Based on my 6 weeks of using A-Passioni I like it, but I think this may not be suitable for those that are just starting out with acids in their skincare. As someone who has been using acids within their skincare and is pretty knowledge of ingredients, I found myself feeling like a chemist when using it. It took trying many different concoctions of products for me to figure out what would work best for my skin. I experienced dry and flaky skin but was able to resolve it fairly quickly, someone not as knowledge may have found this to be challenging. As someone is who is in the 30’s age bracket, I’m all about anti-aging products. Using a higher strength retinol doesn’t bother me. I do think that Drunk Elephant should come out with a lower strength -possibly .05 % for those that are younger or those just looking to ease into the process of using retinol. The last thing I think that could be improved is the packaging and dispensing of the product. Retinol and other acids can be compromised with exposure to the sun and air. The tube packaging leaves too much room for interpretation of dispensing and for the user to understand how much a pea size is. Even when the tube is slightly squeezed more than a pea size is dispensed. My solution to this would be to put A-Passioni in similar air-tight packaging like the Lala or Protini Creams. These two products have the best packaging I’ve encountered for dispensing product. The air tight jar ensures that light and air will not compromise the integrity of the product along with it dispensing the exact amount of product that is needed per use. I started reviewing A-Passioni thinking I would be able to compare it the Sunday Riley Good Genes. But in all honestly there’s not much of a comparison. Yes, they are both retinol products, but I find that the Drunk Elephant A-Passioni to be stronger and worked more quickly. I like that the Drunk Elephant includes a mini of the B-Hydra Serum with the A-Passioni. Those looking to add or up the strength of retinol in the skincare routine should probably include additional moisturizing products (oils, creams and masks). I can’t attest to A-Passioni helping to relive breakouts as I don’t commonly have acne. It’s known that retinol takes 6-8 weeks for you to see a difference with your skin. Overall, my skin has a healthy glow, whatever little dark spots I had have almost completely faded. My skin hasn’t been dry or flaking. I have continued to use A-Passioni 2x a week. I will eventually like to move up to 3x a week. The days that I’m not using retinol I’m using some type of AHA. I know the two could be used in the same day if spaced out, but I prefer to space it out and alternate days. I was asked if it A-Passioni caused any purging- for me I did not have this problem. I do think this product would be suitable to everyone if different strengths were available. For someone younger, sensitive skin and with drier skin textures, I would definitely recommend to start very slow. Those with normal and oily skin textures or those who have experience using retinol are likely to be fine with using it 2-3 times a week (maybe even more). The most important thing is to pay attention to the needs of your skin and hydration levels. There’s a few things you should know and take into consideration before and while using retinol in your skincare routine. Application/dosage- A little goes a long way, so be conservative. Using too much can lead to dry or flaking skin. Take small steps in the beginning to get to the full strength of the product. If you’re pregnant or breast feeding, do not use. Use sunscreen. Retinol along with acids can be very drying to your skin when expose to the sun along with causing an adverse reaction. ﻿I hope this post was able to help and answer your questions regarding the new Retinol on the skincare scene from Drunk Elephant. If you have a question that was not covered, please leave me a comment and I’ll be sure to answer it. Are you thinking of giving A-Passioni a try? Or are you looking to try out something different?